Basically, just about everyone gets up in the morning and eats. Then throughout the day they eat some more. That is what you are supposed to, without any thought, right? Well, yes you need to make sure you are eating but the truth is there are many foods that have a higher risk of being contaminated. There are many vegetables and fruits that are great for your health but they could be contaminated with pesticides. Studies show that approximately 30% of men have a pesticide intake at least once a week. There are many groups who work to try and eliminate pesticides from foods that that doesn’t mean it is possible to get everything safe to eat. However, there is something you can do to make sure you are eating safer foods. 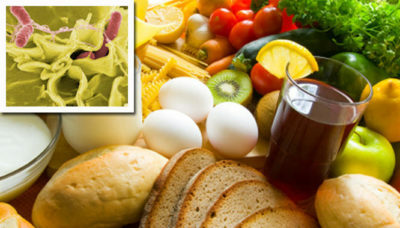 Today you will read about the most common contaminated and non-contaminated foods. By making sure you eat more of the non-contaminated than the contaminated foods you can improve your health. If you do happen to buy any of the foods from the contaminated list be sure you are getting ones that are organic. Studies show that those who buy organic possibly contaminated foods and foods from the non-contaminated list will lower their risk of being exposed to pesticides by just over 90%. What are the most commonly contaminated vegetables and fruits? There is quite a big list of possibly contaminated vegetables and fruits. These may be foods that you have been eating without a second thought; just assuming they were healthy so there isn’t a problem with them at all. Apples are by far the most commonly contaminated. From there you also have strawberries, celery, spinach, peaches, imported grapes, imported nectarines, potatoes, sweet bell peppers, lettuce, domestic blueberries and kale. This is the main list of the most commonly contaminated vegetables and fruits. Remember, if you are going to be eating these foods be sure that you are getting the ones that are organic for less of a chance of being exposed to pesticides. What are the least contaminated vegetables and fruits? You have just read about the most commonly contaminated vegetables and fruits. Think about it. Were you surprised to see some of those on the list? They may be foods you eat every day without even thinking. Now maybe you may give them second considerations and think about the possible pesticide contamination. There are also some vegetables and fruits that are the least contaminated. Onions are by far the least contaminated amongst this list. 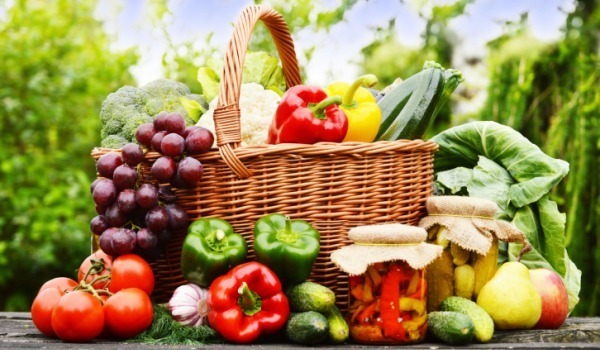 From there you have pineapples, sweet corn, asparagus, avocados, eggplant, mangoes, sweet peas, kiwi, domestic cantaloupe, watermelon, cabbage, grapefruit, sweet potatoes and mushrooms. If you are going to be buying vegetables and fruits and you should be, these are the ones that are the best for you in regards to the lowest chance of contamination. You should do your best to always buy vegetables and fruits that are organic as they are the best for your health. However, sometimes those are more expensive and it is not possible for you to be doing that. The best you can do, otherwise, is to make sure you are getting the vegetables and fruits from the least contaminated foods list.